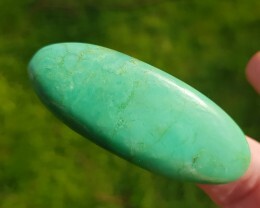 Chrysoprase Healing Properties: Chrysoprase helps to make conscious what is currently unconscious. 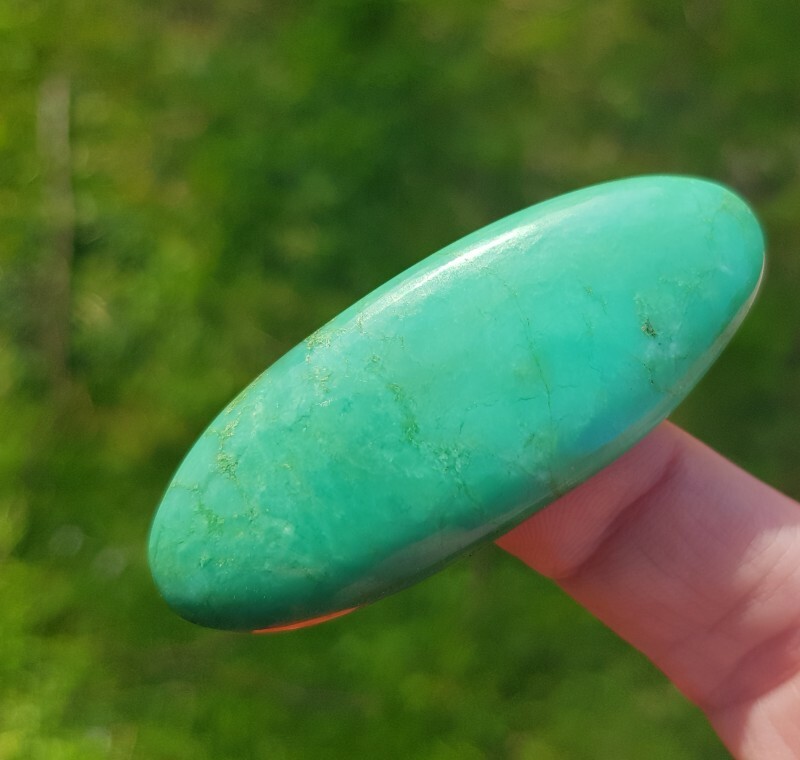 It’s vibrations have a tranquilizing effect that seem to bring damaging subconscious thought to the foreground, where they can be assessed and dealt with properly. Chrysoprase has been credited with banishing greed, selfishness, carelessness, irritability and the pains of gout. 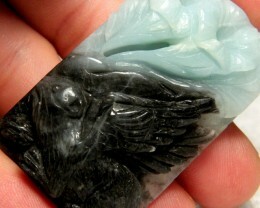 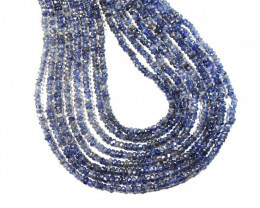 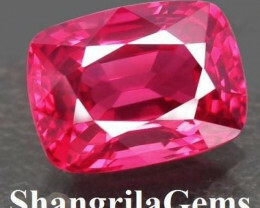 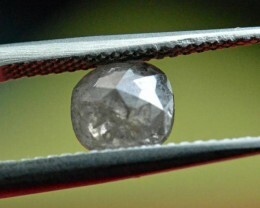 It has been said to create happiness, enterprise, prudence adaptability, versatility, action, progress and adventure. 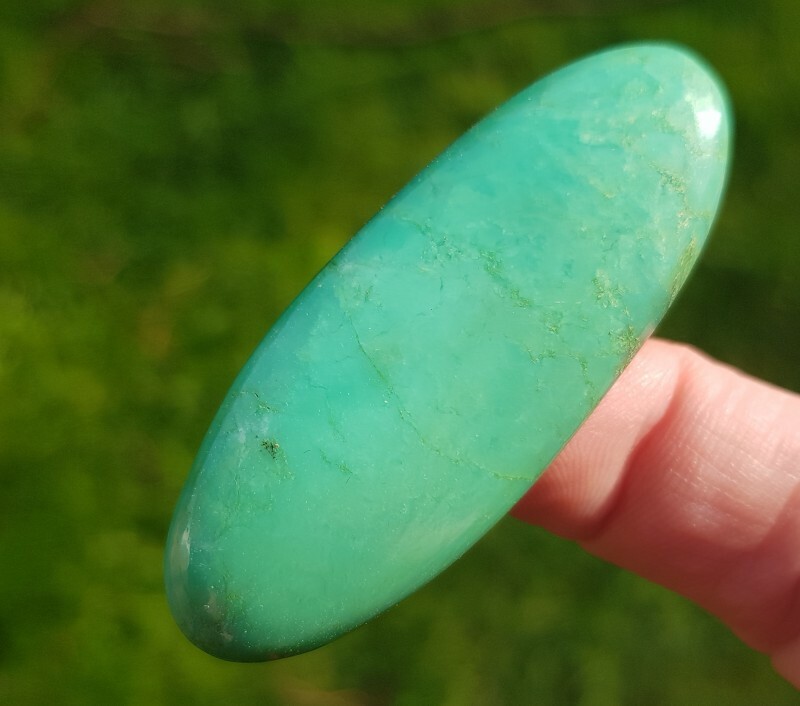 Chrysoprase is said to protect from evil dreams and demons, to bring success in new enterprises, and to make the wearer more cheerful. 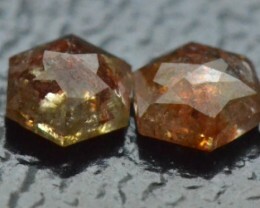 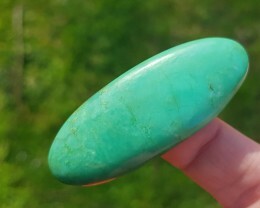 Chrysoprase’s healing powers include strengthening the eyes, staunching the blood and relieving the pain of rheumatism. 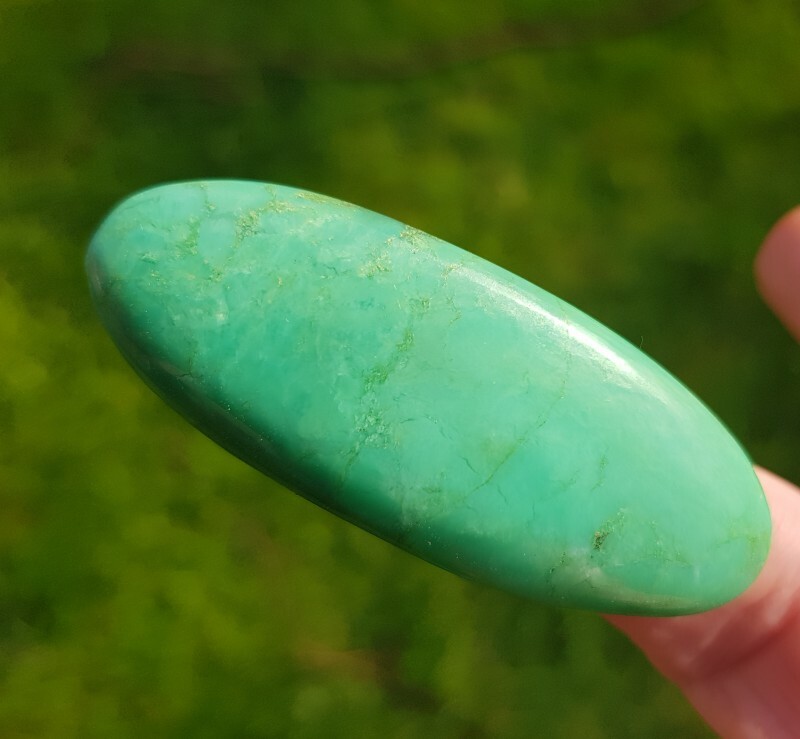 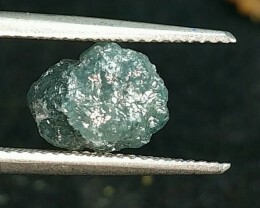 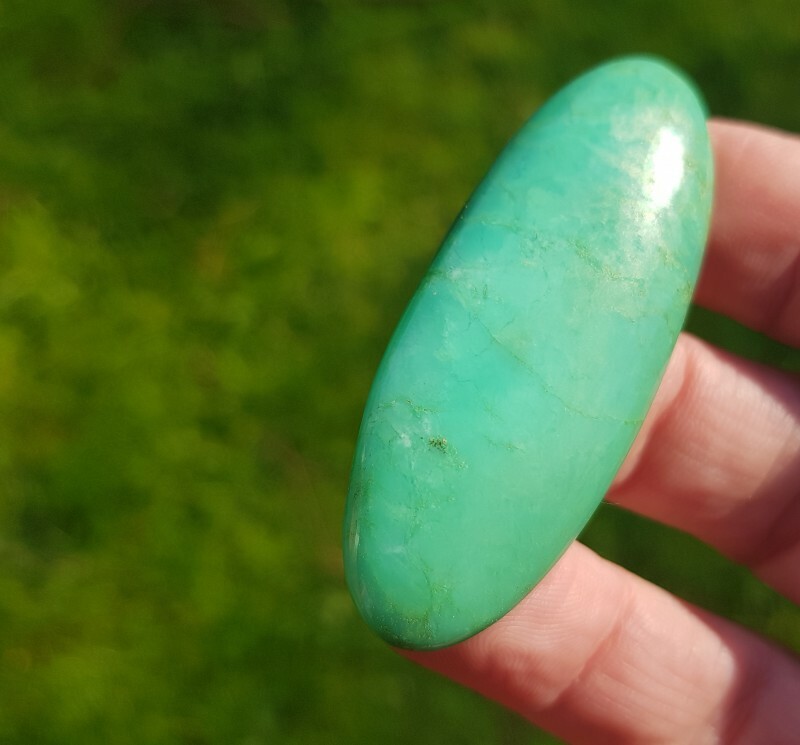 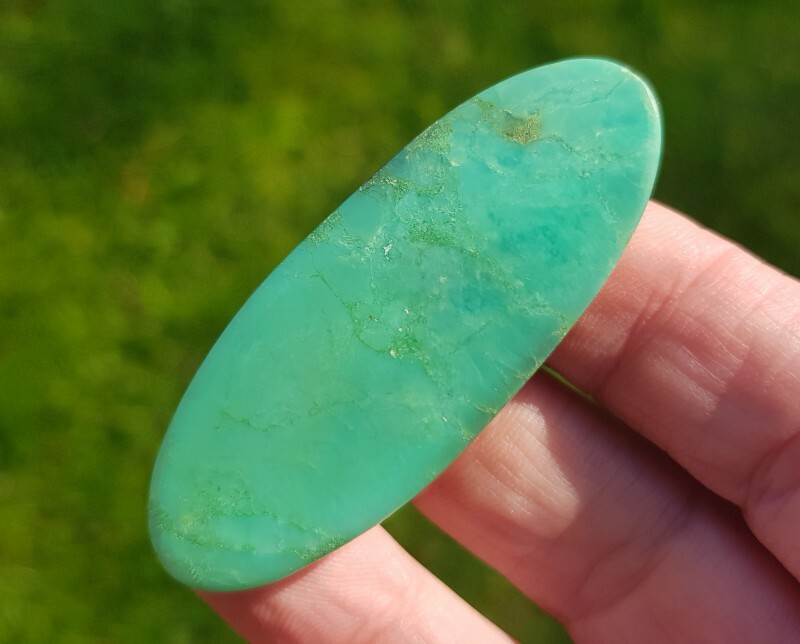 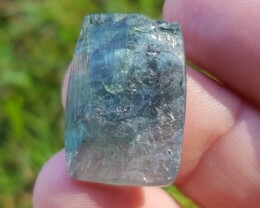 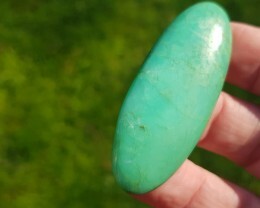 Chrysoprase is used to speed the healing of just about any wound, but it should not be placed on the body, instead held over the affected area. 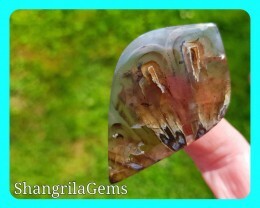 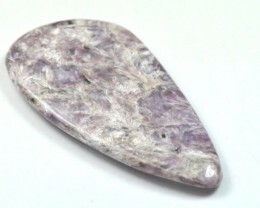 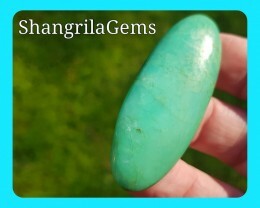 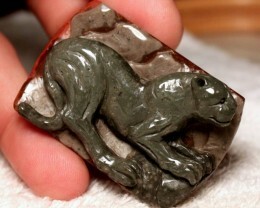 Keep a chrysoprase close to your bed at night to speed healing of any type of wound. 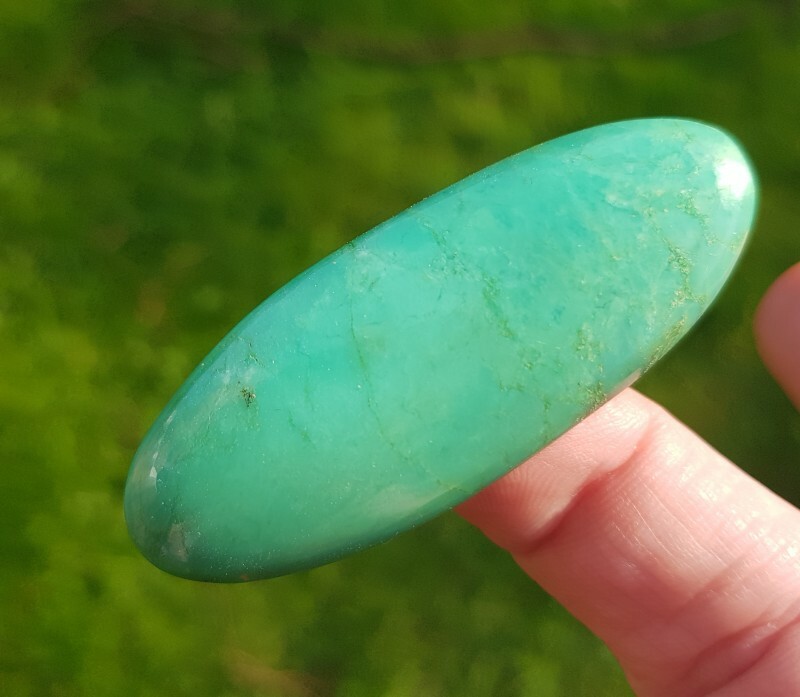 Chrysoprase must be worn or laid on for quite a long time when used for healing purposes, it also must be cleansed briefly under running water before each use and then recharged overnight among a host of rock crystals at least every two weeks.